Jan. 23, 2019, 9:55 a.m.
By Christine Schmidt @newsbyschmidt Jan. 23, 2019, 9:55 a.m.
Maybe you cringe when you see breaking news on (or about) Twitter, or flee from Facebook Portals, or can only imagine each dystopian news cycle drawing us closer to The Handmaid’s Tale. If so, try thinking of tech as a tool that can replicate you to keep your dog company after you die, or that can open-source a rocket ship to escape the charred Earth for Jovian Europa. Nice, pleasant thoughts. These are two storylines of the 11 The Verge is releasing over January and February as part of its Better Worlds project. It’s an attempt to brighten up their coverage of the dismal real world and push for science fiction that inspires. It’s the seven-year-old site’s first steps into fiction, and it’s planting the series across all its regular distributed platforms — but with less of a focus on Facebook. The buzz of drones comes from overhead, and she looks up. “It’s the media. Right on time. You’d better run, Mimi. You got a ship to fly.” And then she darts off into the crowd. The fiction project is one way to refresh the feeds of followers who may be getting burnt out of Facebook data privacy explainers or the government shutdown’s (still ongoing!) impact on the future of science — and of course to harness new readers coming through the fan followings of writers like John Scalzi and Leigh Alexander. 5. … and also to where larger audiences were. Now, @verge is definitely already in nerd territory as a tech site, but it's got a large daily readership and a large marketing reach. Inevitably some people there will read me for the first time. That's very useful to me. A lot of that audience is coming from YouTube and Instagram Stories, not necessarily Facebook — a twist for The Verge, which leaned on its Circuit Breaker spinoff for high Facebook engagement. Each story is published in full in the Better Worlds section on the site with an author Q&A and either a video animation or an audiobook making the piece more vivid. But now — as the industry recuperates from Facebook’s failed pivot-to-video promises and faulty metrics — they’ve pushed off from Facebook a little more. 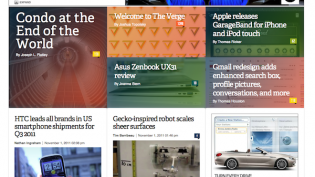 But videos on Circuit Breaker, The Verge’s spinoff gadget blog-as-a-Facebook-page, were taking off. 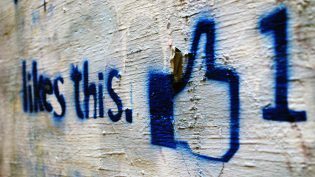 A little more than two years ago, Circuit Breaker views on Facebook — with 500,000 followers — were neck and neck with views from 2 million followers on YouTube. By 2019, the tech dystopia has shown that Facebook is not social video heaven. In its first 36 hours, the video for John Scalzi’s piece got more than 35,000 views on YouTube compared to 14,000 on Facebook. Havlak also noted that Instagram stories has brought a surprising amount of engagement to the series so far, and the team is planning Reddit AMAs with the authors as well. This project wasn’t cheap for The Verge, which is also coming off building a house with Vox Media sister site Curbed. Boeing sponsored Ireland’s “Theory of Flight” piece, though the months-long process consumed Havlak, Hudson, and design director William Joel, Havlak and Patel said, with help from others on The Verge’s staff. But the spread of engagement might mean more fiction in the future — no matter how dystopian that future may look. POSTED Jan. 23, 2019, 9:55 a.m.
Schmidt, Christine. "With tech’s reality a little too dystopian, The Verge is turning to science fiction for inspiration." Nieman Journalism Lab. Nieman Foundation for Journalism at Harvard, 23 Jan. 2019. Web. 22 Apr. 2019. Schmidt, Christine. "With tech’s reality a little too dystopian, The Verge is turning to science fiction for inspiration." Nieman Journalism Lab. Last modified January 23, 2019. 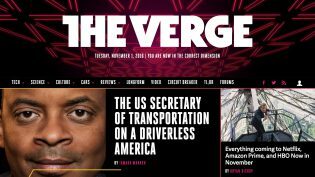 Accessed April 22, 2019. https://www.niemanlab.org/2019/01/with-techs-reality-a-little-too-dystopian-the-verge-is-turning-to-science-fiction-for-inspiration/.